Everything You Need to Reach Career Nirvana! Are you feeling stuck in your current position? Looking to venture into a completely new field of work, but don’t know how to get there? We have created this blog for you! It is for the career seekers and transitioners who want more than just a job. They want to do work that is meaningful, makes a difference, leverages their unique skills and talents, and pays well. You know what you want but you’re not sure how to go about getting it. You often find yourself unmotivated and wasting time doing unproductive things. That’s where the Coach Yourself Toolkit comes in. Whether you want to find that dream job, start your own company, make more money or find the love of your life, the first step in achieving your goals is to get clear on what you want in the first place. And the only way to do that is to hit the pause button and answer a few questions about yourself. 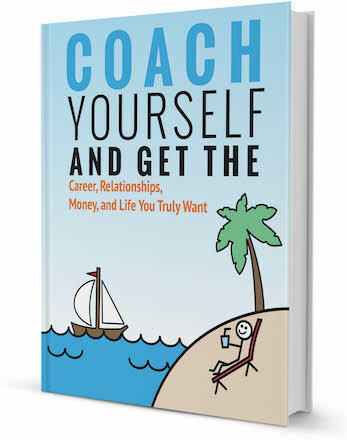 Enter your name and email to get your free copy of the Coach Yourself Toolkit today and start getting the career, relationships, money and life you truly deserve. You’ll also get our weekly newsletter with the latest career advice. We look forward to helping you reach your professional goals!